Create an effective learning environment! Corporations are spending billions of dollars on web-based training. But you can't just slap some material up on a web page and expect your employees and students to learn everything. 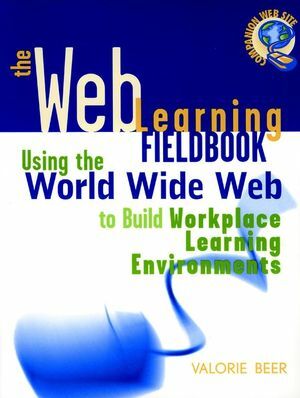 To use the web intelligently and effectively as a teaching medium, you have to understand how to create a learning environment. Other books may show you how to create an effective training presentation. This is the only practical how-to book and web site that will enable you to rapidly create an effective learning environment. VALORIE BEER has been a training and development manager in high-technology companies for 15 years. She has designed, developed, and delivered learning environments for technical, sales and managerial training at Xerox Corporation, Apple Computer Inc., Netscape Communications Corporation, and E*Trade Group Inc. Valorie's numerous publications, as well as her vocational interests, emphasize her focus on the intelligent use of technology for learning and development. She holds a doctorate in education from the University of Southern California. Valorie lives in Palo Alto, California.